To understand just how cruelly insane the plan by the government of British Columbia is to "save" the "mountain" caribou by shooting wolves from helicopters, it is helpful to know a bit of technical stuff. It's not hard to grasp. Caribou occur across northern North America, from Alaska to Newfoundland, with a few found in a tiny bit of Washington, Idaho, and Montana next to the Canadian border. Through most of their range, there are two races ("subspecies"): the northern one found mostly in tundra regions, usually called the "barren ground caribou," and a southern race, a bit larger and usually darker in color, found mostly through the boreal forests of the north, and usually called the "woodland caribou." There is a separate or "disjunct" population of woodland caribou in the mountains of central to eastern British Columbia and a bit of adjoining Alberta, south just into the U.S. It is often called the "mountain caribou" but is genetically identical to the woodland caribou. There are three other races: one found in Alaska, and two in the Arctic archipelago of islands north of the Canadian mainland. One of these, a pale-colored race sometimes called the "peary caribou," is seriously endangered. One other race that once lived on coastal islands is extinct. Caribou numbers have declined, or been extirpated, throughout much of their vast range. The mountain caribou population of the woodland caribou is now in danger of extinction. Woodland caribou require extensive, intact woodland to survive. Forestry practices, the increased roads and introduction of livestock ranching, plus recreational activity within caribou habitat, have all negatively impacted the caribou. As they have been told for years by conservationists, you can't quickly (if at all) replace forest habitat. But, of course, forestry, mining, and ranching provide jobs, votes, and tax money, so conservation concerns have been largely ignored. It's easier to kill wolves. The plan is to kill 24 wolves in the south, adjacent the American border, and to kill 120 to 160 further north. They need to do this before snow melt, which means now. Similar killing has taken place in Alberta for years. Other non-lethal approaches variously supported by the government, First Nations peoples, and conservationists include catching caribou and moving them south and releasing them into the endangered populations; sterilizing wolves; and capturing pregnant female caribou and penning them so they could give birth and start raising their calves, safe from such predators as wolves, bears, and mountain lions (a process called "maternal penning"). Wolves and caribou have co-existed for thousands of years, all agree. One concern is that a reason for the dramatically reduced numbers of caribou is the fragmentation of their forest habitat, which has made it easier for wolves to find them. 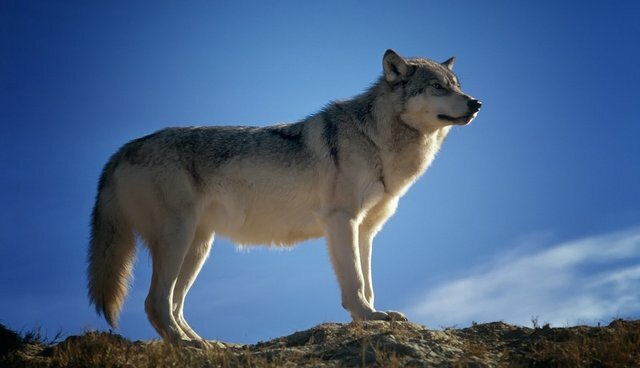 There is no way to "humanely" kill the wolves with guns from helicopters, or from the other techniques that have been used - especially in Alberta, such as use of horrific poisoning and neck snares that strangle their victims. Sadly, the southern mountain caribou were doomed through years of bad land management practices. It is a pathetic record of treatment of wildlife. As critics of the killing point out, short of eliminating them, killing wolves will have to continue for many years if it is to have a hope of working. More importantly, killing wolves cannot work without commitment to reducing human disturbance and fragmentation of habitat, and limiting other human disturbances. Even then, the effects of global climate change are already blamed for a massive loss of trees in the region, with a huge range extension of mountain pine beetles now surviving in vast regions where winter cold formerly killed off many. Canada's national policy has been to contribute to the cause of climate change while demonizing environmentalists who oppose the federal government's almost maniacal support for the Alberta tar sands and other resource extraction deleterious to the world's ability to sustain life. This is a lose-lose situation for wolves, caribou, forests, and other wildlife. It is possible, as the Ktunaxa Nation says, that "caribou may be better served by a multi-faceted approach which includes restriction of access and restoration of key caribou habitat, decreasing vehicle mortality, and establishing breeding programs, including maternal penning." But, killing seems to usually be the default position of our species.